I found these fingerpaints that start off as a play-doh, turn into a fingerpaint that doubles as a soap, and rinses away clean in the bath. Owen went to a going away party so Cooper and I had all evening to play - it was a perfect time to have fun with our new paint! 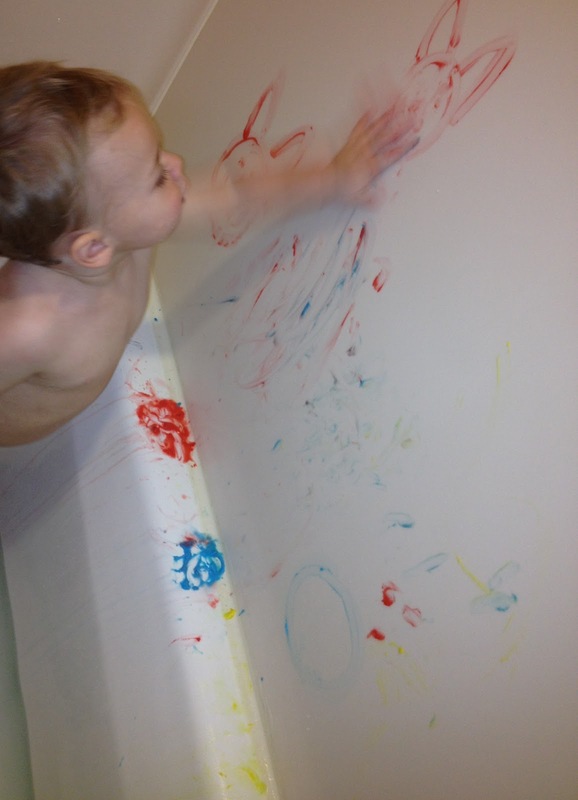 Here's Cooper drawing on the wall with his pallet of fingerpaints. (It makes him giggle when I draw kitties on his chalkboard so he, of course, had to have a couple here too). 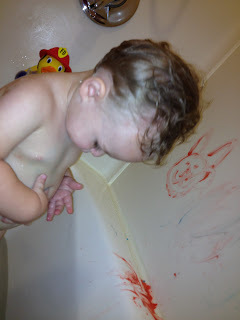 He also gets a lot of chalkboard drawing practice and has just started drawing circles so he did some practicing. Then we moved from the wall to drawing on Cooper's arms, legs, belly... and Mommy's face. 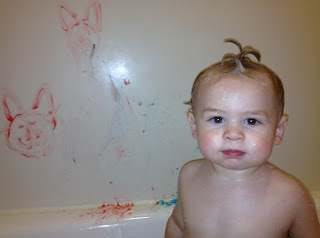 Cooper was in the fingerpainting zone but stopped to pose for one more shot with his faltering faux-hawk. 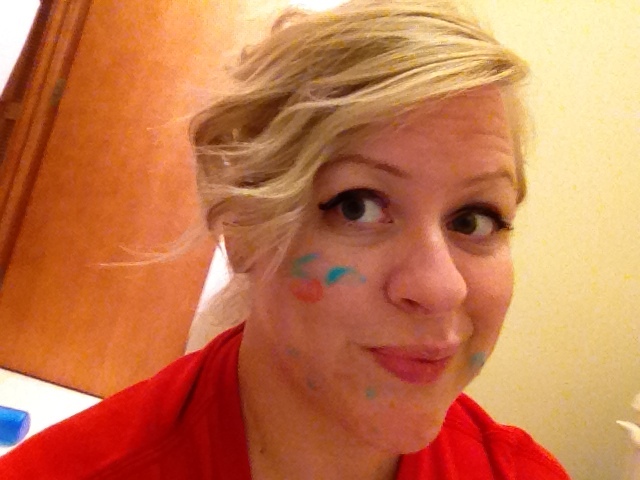 The showerhead took care of the rainbow-colored soapy residue super quick (thank goodness... I might have been a little worried). Then Cooper was finally ready to get out so I wrapped him up in his alligator towel and he checked himself out in the mirror while we cleaned ears, combed hair, trimmed nails and brushed teeth.